It was standing-room only at the Hedgerow Theater last night when Nancy Webster, Historian Extraordinaire, made history come alive as she related tales of pirates, witches, spies, explorers, heroes and pioneers that most of us weren’t aware were part of Delaware County’s history and heritage. The audience so thoroughly enjoyed the program that NPHS board member Tom Hibberd, lead organizer of the event, asked Ms. Webster if she would consider the night’s program as the first in a series of lectures. 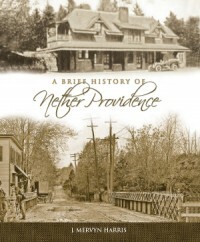 The event was presented by Nether Providence Historical Society in cooperation with Rose Valley and Aston Township Historical Societies.